A smart thermostat, the only smart device that can earn it’s purchase back with saving money on your energy bill. It’s 2019 and I can’t imagine that people still buy dumb thermostats. These thermostats maybe cheap when you buy them, but you will lose money every year while heating your house when you are not at home. I bought a Tado smart thermostat 5 years ago and still recommend it to everybody here. Unfortunately, Tado isn’t available everywhere in the world, even not in the US. So let’s take a look at what the best smart thermostat is on Amazon and how it compares to my all time favourite Tado. Also, I will look into some key features of a smart thermostat, how do they support Geofencing? How smart are they really (open window detection for example) or does the thermostat support multiple zones or not? Before we start comparing the different thermostats that you can buy, we first need to determine what we find important on a thermostat. Yes, it has to heat and/or cool the house, but what makes it smart? That can control it from your mobile, no. That it detects your motion or lack of it… well we are getting closer. But how about it knows where you and the other house members are, or if you left your windows open or maybe even can heat multiple zones or a single room alone. And it has to talk with other devices, like Alexa, Google Assistant, or a Smart Hub. Besides the smart side of the thermostat, there is also a really important non-smart but technical side, OpenTherm. This is the standard communication protocol used in central heating systems to communicate with the thermostat. Now almost every manufacture support OpenTherm, allowing you to use any thermostat on any central heating system. But some have manufactures made some changes in the protocol, they added features that aren’t supported by OpenTherm which result in a non-working thermostat. I have a Nefit heating system and it does not fully support OpenTerm so my choices for Smart Thermostats where limited. But luckily Tado was able to write a specific connector for Nefit so everything is working fine here. But if you have decided which Smart Thermostat you want to buy, make sure you check if it works with your heating system. So let’s take a look at the available thermostats on Amazon. At the moment of writing, there are more than 20 smart thermostats listed on Amazon. So for this review, we will stick to the most popular thermostats. Built-in Alexa – so it’s a thermostat and echo dot in one. Can be used with Geofencing to turn schedule on or off. The thermostat itself is pretty good. It has most of the functionality you want, you can program modes for home, away and sleep. 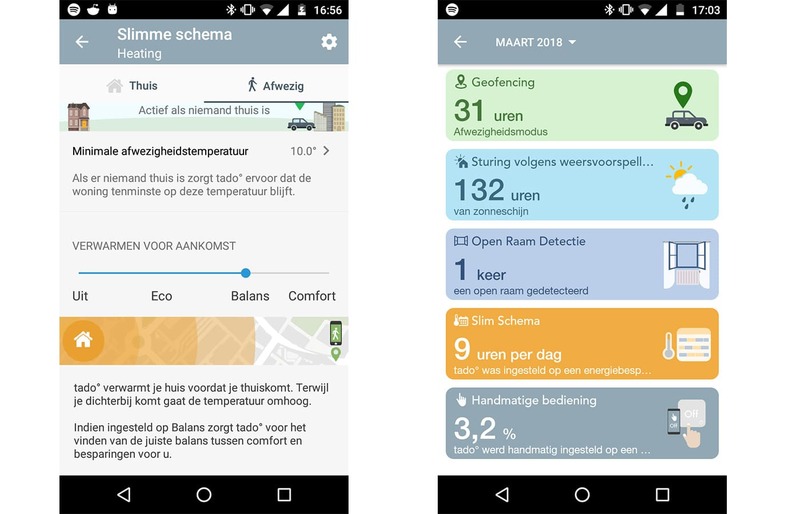 Create schedules which can be overruled based on the motion sensor and change the temperature with your smartphone. As for the smart part, it can connect to almost any smart hub or virtual assistant, making your house smarter. You can get the Ecobee 4 for around the $ 250,- on Amazon. That makes this one the most expensive Smart Thermostats on Amazon. I find this one of the most important aspects of a smart thermostat. A good geofencing function will lower the temperature if all the users are away and make sure the house is back on temperature when the first persons arrive back. Ecobee 4 supports geofencing, but what surprises me is that it isn’t really mentioned on the product page. If you Google it, you will find a support page about it. When we take a closer look at the geofencing option it turns out that it doesn’t support multiple users. So if your wife leaves the house it will change heat mode to away while you are still home. Now it might detect that you are still home through the motion sensors but this not ideal. What I do like about the Ecobee 4 is the possibility to control other air quality related devices. It can control your AC to cool your house down but also use it to dehumidify your house. And it can use for example your ventilation system to cool the house down in the evening when the temperature outside is lower than inside. These are some features that not many thermostats have and that you otherwise only can achieve by using a smart hub. Ecobee4 support multiple zones. It uses a room sensor for it to monitor each individual room. The Ecobee 4 comes with 1 room sensor, so to get the most out of it you may need to buy some additional room sensors (they cost around the $ 80,- for two). Now keep in mind, heating multiple zones individually can only be done when you can control the radiator valve or vents (if you have an HVAC system). So each vent needs to be made smart, otherwise, you will still be heating (or cooling) the whole house. Now Ecobee supports multiple smart vents systems, like the vents from Keen. If you replace your vents with these you could really only heat the rooms that you are using. I don’t like that presence is based on motion sensors. You need them in every room so it can track your presence. If you go to sleep it seems to lose track of your location. I really recommend using the geofencing option here to control your thermostat. 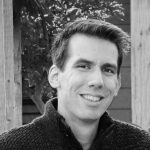 Built-in Alexa is a great feature, but you have to perform an additional setup to install the thermostat in Alexa. Yes, Alexa doesn’t know it’s built-in a thermostat, so it can’t find the device. The overall temperature is based on the average of the remote sensors. So the amount and placement of the sensors are really crucial. The most popular Smart Thermostat on Amazon. Nest has been around since 2011 and is one of the most bought smart thermostats on the market. Nest is marketed as a self-learning thermostat that uses a motion sensor and the location of your phone to determine if you are home. Based on this information it will switch between home and away mode. Another great feature of the 3rd generation is the farsight feature. It detects up to 10 feet away if you walk by (motion) and will illuminate with the current temperature bigger and brighter so you can read it. The Nest look amazing and comes in 4 great designs to choose from. The price for a Nest 3rd generation is around the $ 210,-. This is one of the most popular thermostats for a reason. It looks good, it’s easy to use and it will help you save money on your energy bill with the auto-away mode. To save money on your energy bill a Smart Thermostat must have very good home / away mode skills. There are a couple of option to determine if you and your family are home or not. It can be done with Geofencing, mobile phone presence (if your mobile is connected to the wifi network) or a motion sensor. Another important part of this is family members because you can leave the house, but if your spouse is still at home when the heating should stay on. Nest uses family accounts for this to track everyone in the household. Based on the mobile phone location and (lack of) activity from the motion sensor will it turn the heating on or of. The geofencing feature of the Nest has in reality only a home or away mode. So it checks if you are in a 300 feet radius of the house, if not the heating or AC is turned off. It will only turn it back on if you are almost or in the home. This can result in entering a cold house because you temperature might have dropped a few degrees and it will take time to heat it up again. I have a Tado and they have a more seamless geofencing feature. It will let the house cool down further if I am farther away from it. And it will start heating if I get closer to the house. This is really a point the Nest can still improve in. Now I don’t have a Nest myself, but I know a few people who have one. And one of the most annoying things you should be aware of is that the temperature may vary during the day. It seems to have trouble holding a steady temperature when you are at home. I have seen and read about fluctuation between the 2 and 3 degrees Celsius. Some say it might be caused by the heat the comes from the display itself that will result in misreadings. I don’t know the exact cause of it, but it can make your house really uncomfortable. One moment you can have to cold and the next to hot. The energy saving or reporting function of the Nest if very limited. And I find that strange. The products are at the moment of writing more than 6 years old. Time enough to come with a good reporting feature. 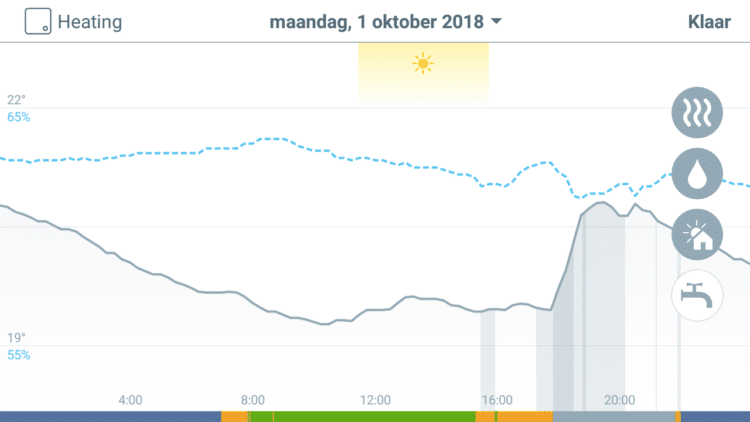 If you look at the app you will only see the number of hours the heating was turned on. Pretty useless to my opinion. It is a good product, it has to be because many people already bought one. But for the price and because it’s the 3rd generation I expected a bit more from it. The lack of reporting, temperature fluctuation, the presence not working seamlessly are disappointing. Overall it is a great thermostat and probably a really good choice. But if geofencing and reporting are important to you, you might look for another thermostat. A really affordable and decent smart thermostat. You can connect the Sensi Touch to pretty much every smart hub or virtual assistant (Alexa, Siri, Google) to control your thermostat. It can control your AC and Heating system, can be controlled with your smartphone and it supports geofencing. The Sensi look like a smartphone that is mounted on the wall. It comes with a backlight/nightlight feature which is pretty cool. It can also detect humidity and it will warn you if it detects extreme temperature or humidity changes. The price of the Sensi Touch is around $ 170,-. You can check the latest price here on Amazon your self. Sensi support geofencing with multiple users. Every user with the Sensi app must enable geofencing of his or her mobile phone. This way the Sensi can control your temperature based on the location of your household. The geofencing option will put your thermostat in away mode if the last person left a 3-mile perimeter and will turn the heating back on when you enter it again. Installing the Sensi is super easy. You can install it in less than 30 minutes. It comes with a step-by-step guide with videos and you can always call the support if you are stuck. The Sensi requires a C-wire, so if you don’t have one then you need to pull a C-Wire or use a 24 VAC transformer for it. The menus of the Sensi are really intuitive. You can create many schedules as you want with 4 different temperatures on the same day. The Sensi Touch is a really good thermostat for a great price. They have an excellent support team and a great app that is easy to use. If you are not into a Nest or Ecobee, but you still want a smart thermostat that is easy to use, then the Sensi might be a good choice for you. The new Smart Thermostat, the v3+, claims to pay for itself in the first year. It can save up to 30% on your energy bill and that is a lot. With the geofencing, it will always make sure your house is heated when you come home. The geofencing from the Tado is working just perfectly. Based on how far you are away from will it lower the temperature in your house. When you get closer to home, it will start heating. You can set the pre-heating to your own liking. Eco mode, it starts when you are really close at home. Comfort, it will start soon enough so your house in on temperature when you step inside. Also, you can set a minimum temperature level, so the house doesn’t get any colder then let’s say 10 degrees. You can create a schedule for every individual day and set as many temperatures as you want. The geofencing is working flawlessly so I have set the temperature during the day as if I was home. I know Tado will turn the temperature down if nobody is home. Reporting is one of the things Tado really stands out in. Tado is really smart and uses a lot of different factors to steer the heating. It uses the weather to determine if the house gets heats with sunshine, it detects open windows, so heat doesn’t go to waste. At the end of the month, you get a really nice overview of how much it saved and what is used to heat the house. But besides the monthly overview, you can get a daily overview. You can pull up a chart with the exact temperatures, humidity level, amount of heating is used and the temperature mode (away, open window detected, schedule etc). Tado doesn’t have a fancy screen builtin, but a really simplistic LED matrix display to show you all the info you need. With one button and two touch arrows, you can control some of the basic features of the thermostat. Anything else has to be done through the app. The Smart Thermostat self is a small white box, running on batteries. Now about the batteries, I haven’t replaced them once yet. So they can last really long (more than 3 years for sure). Tado works with a bridge that you connect to your router. The bridge will provide Tado with internet access. You can combine multiple Tado thermostats to create different zones, but they also have Smart Radiator Thermostats that you can use to replace your old conventional radiator thermostat. With those Smart Radiator Thermostats, you can create the ultimate room controlled heating system. Every radiator can individually be programmed saving you even more money. Never heat a room that you don’t use during the day. As you probably noticed, I really like Tado. 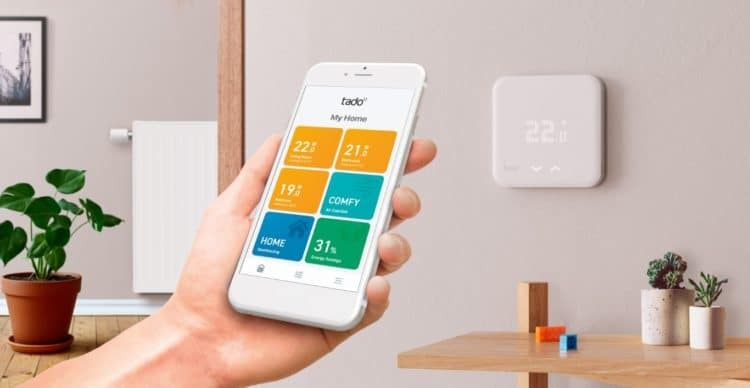 I still read a lot of reviews, come across many other Smart Thermostat systems, but still like Tado the most. The design is great, the functionality is perfect and it never has let me down. The Honeywell T5 is one of the more affordable Smart Thermostats on the market. It connects over Wifi and supports Geofencing. The Honeywell isn’t as advanced as the Ecobee or Nest, but it has all the basic features you want in a Smart Thermostat. You can connect the Honeywell T5 to a virtual assistant like Alexa, Google or Siri to use your voice to control it. The Wifi thermostat requires a c-wire to operate. Now older houses typically don’t have on, but good news. The new version of the Lyric T5 (called T5+) comes with an optional power adapter, which is great. The Honeywell only supports a schedule or geofencing to control the temperature. There are no sensors or algorithms to optimize your heating plan. Now, this can be more than sufficient for a normal household, but keep in mind you only have four timeslots per day to set a temperature. You can set the temperature for the morning with wake mode, a home mode, sleep mode and away mode. When you enable geofencing the thermostat will set the heating mode to away when you are outside the house. It doesn’t take into account how far you are away and only starts heating again when you are almost home. The Honeywell is a wifi connected thermostat, like the most smart thermostats (some use a bridge to connect). What you need to be aware of is that the Honeywell T5 only supports a 2.4ghz wifi network. Not a combined network, not a 5ghz wifi network, only the 2.4ghz. This should not be a big issue, the most routers/access point have the 2.4ghz network available, but make sure you check your network if it’s ready to go. If you have the Honeywell app installed on your mobile then you can connect and set up the Honeywell in 5 minutes. The installation guide is really easy to follow and will walk you through the installation with ease. If you look at Amazon you will also find the Honeywell Lyric 6 pro. They look almost the same, the colour is the most distinctive difference between the two. So I did a little digging on what the real difference is between the Honeywell Lyric 5 and the Honeywell Lyric 6 pro. The Lyric 6 pro supports more advanced heating systems then the T5. With the Lyric 6 pro, you can control a dual heating system, something you can’t with the T5. Keep in mind that choosing the wrong options for your dual heating system can damage it. So make sure you consult a professional before you install it. Another difference is the possibility to control a ventilation system. The T6 pro can control ventilation equipment like ERV or HRV systems. Also on the T6 pro, you can connect an external sensor to measure, for example, the outdoor temperature. If you are looking for an affordable smart thermostat that is easy to use, can connect with virtual assistants, then the Honeywell can be a good choice. It isn’t really advanced but it will do a decent job. You can get a Honeywell T5+ for around the $ 140,- on Amazon. As you can see you don’t need to spend up to $250,- on a Smart Thermostat. Yes, they have great features, but the affordable ones, like the T5 and Sensi, can do almost the same. The most important part of a Smart Thermostat is a good geofencing feature to detect if somebody is home or not. If you want more advanced features, take a look at the Tado for the best value for you money. Some thermostats required a 24-volt wire. In the most houses, you will find the wire (also known as the C-Wire) behind your current thermostat. If you don’t have a C-wire you can use a 24 Volt transformer. They are available on Amazon. Install one of the two wires on the “R” terminal and the other on the “C” terminal. Another tip, keep your old non-smart Thermostat, don’t throw it away. Some smart thermostat won’t work without an internet connection. If you, for some reason, lost your internet connection you can always place the old one back. Without a thermostat, your central heating system won’t turn on. So if it is really cold outside and it may take more than a day to fix the internet (or the Smart Thermostat provider goes down…) then you can place your old one back. Before you pull your old thermostat off the wall, make sure you make a picture of how the wires are connected. This will help you when you need to place your old thermostat back.